This is part II of a 4-part series. You can catch part I here. Can a fighter get lean without absolutely tanking performance in the gym or making themselves feel dreadful throughout the leaning out process. But to do so there are things that need to be considered. One thing to clear up for those of you who aren’t involved in combat sports and perhaps not familiar with cutting weight is the difference between cutting weight and losing body fat. It should seem logical that having a fighter as strong as possible for his/her given weight class is important. Considering that combat sports are weight class-based, this gives rise to the practice of “weight cutting”. If you’ve ever wondered how a boxer steps into the ring 15lbs (or more) heavier than he weighed in at during the weigh in a mere 24 hours earlier, then it’s by undergoing this weight cutting process. “Cutting weight” refers to the process of weight manipulation in the few days leading up to, and following, the weigh-in for a fight. It does not refer to losing body fat. That’s something that needs to be done over a number of weeks. Fat loss may be needed in order to have a fighter get to a level of leanness that maximises how much muscle mass they can have at a given weight. More muscle mass translates into an increased strength and work output, so long as it has been conditioned in the correct manner (i.e. conditioning work that works the energy systems that will translate to better fight performance, rather than just bodybuilding type work with the objective of increasing muscle size). So, to get from “walk around weight” to the weight you need to step on the scales at, there are two primary nutrition periods. Right, so let’s presume a fighter has been doing the basics right. So once the foundations are in place (you’re eating whole, unprocessed foods 80%+ of the time; you’re sleeping 8-9 hours a night; you practice some form of stress reduction, etc.) what do you need to put in place to start losing body fat in a way that won’t completely destroy training performance, lead to significant losses in muscle mass and leave you feeling like crap? Depending on the starting point the fighter is at, often times just addressing food quality will be enough to start seeing progress. However, at a certain point there comes a need to look at calorie and macronutrient intakes. Guidelines for calorie intake are notoriously inaccurate. So the only way to find how much food you really need to consume is to take an educated guess and then experiment and tweak that number until you’re making the progress you want. So for example, a calories calculator may tell you that you need to eat 2,200 kcal per day in order to lose body fat. But after a few weeks of testing we may find you can lose fat a decent rate (0.4-1.0 kg/week) on somewhere closer to 2,400. On the other hand we may find your intake is actually closer to 2,000 kcal/day. Moral of the story? Track your current intake for a few days. If you maintain weight at this amount, drop it down slowly and see when you start to make progress. Remember, we want you to be losing weight on the maximum number of calories possible. Now, this guys “normal” intake that he maintains weight at may be 2,600-2,700kcal, something like that (the exact number doesn’t matter). 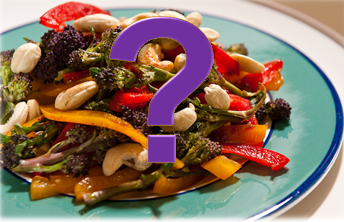 If he cuts his intake to say, 2,000kcal per day, will he start losing fat? Yep, for sure. BUT if he is able to lose fat on 2,400 kcal/d then why go down to 2,000kcal? You’ll get less nutrients in (less food = less nutrients), your performance and recovery will suffer more and you’ll hit a plateau sooner. For some guys you can just go trial-and-error; if you’ve cleaned up your diet and you’re sleeping enough but you’re still not losing weight, then just slightly drop how much food you’re generally consuming and see if that gets things progressing. From this “maintenance calories” number estimate, if the fighter doesn’t need to drop body fat then this is the calorie intake we’ll aim for to provide optimal training performance. If he/she does need to lose some body fat before entering the “fight camp” period, then we need to create a calorie deficit. Something modest should be used here. As already explained, the more drastic the cut in calories the more problems the fighter will run into. I’d suggest an initial drop of 10-15% in calories. Start at this intake and see how the fighter responds. Research shows that the maximal intake of protein that gives maximal benefit for muscular repair, recovery and growth is at about 2.4 g of protein per kg of bodyweight (g/kg BW). So a good intake to aim for is somewhere in the range of 2.0-2.5 g/kg BW, with my preference being at the higher end of that range for hard-charging athletes, especially when they are on a caloric deficit. 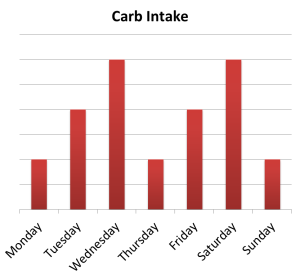 People have different approaches to fat intake, especially in athletes. Fat is important for steroid hormone production, androgen receptor density, mitochondrial health, cell membrane function and provision of fat-soluble nutrients. However, in athletes that will rely heavily on the glycolytic energy system (such as combat sports athletes), we need to be careful to have enough carbohydrates in the diet. Let’s consider some baseline numbers for fat intake. I think that somewhere between 0.8-1.2 g/kg BW is a good target for fighters. The exact number will fluctuate inversely to the carbohydrate intake as explained below. OK, the topic of carbohydrate intake levels is always a hotly debated one. There has been a shift towards lower-carb higher-fat diets, which for many inactive, insulin-resistant people is a good thing. Unfortunately, this has also led to some people going too far and believing that everyone needs to be on a low-carb, high-fat (LCHF) diet constantly. This is just not true. Low-carb diets are an extremely useful tool in certain situations and I have clients that do great on them. This is especially evident in people who have metabolic issues. Those with impaired insulin sensitivity and blood sugar regulation for one, are people who need to stay pretty low-carb. However, if you’re a boxer, kickboxer or MMA fighter then you cannot perform at your very best on a consistently low-carb intake. That’s not my opinion; it’s just something that becomes obvious if you look at the biochemistry of carbohydrate and fat metabolism. This isn’t to say you need to be on a super high-carb/low-fat diet all the time. You don’t. And in fact that will probably be detrimental if you keep fat too low, as adequate fat intake is essential for testosterone production and ensuring you get enough vitamins A, D, E and K.
However, you cannot expect to perform on a typical high-fat/low-carb (or ketogenic) diet. Or even anything remotely close to it. These can be great therapeutically for health conditions but not so great for optimal work output during intense sparring or competition. You might feel like you can do it but trust me, if you’re training regularly and want to perform at you’re best YOU NEED CARBS. Sorry it’s just a fact. With MMA/boxing your body will rely a lot on the glycolytic (“glucose-burning”) pathway for energy production. Producing energy from fat is just too slow a process to support this. Depending on your training frequency, intensity and point in your training cycle your daily carb intake can fluctuate if you wish. Although not necessary. During periods when training isn’t as intense (perhaps you’re focusing mostly on light rolling/technique-based work) then training with sub-maximal glycogen stores (i.e. your storage of carbohydrates in the liver and muscle isn’t full) is not going to be a problem. So at those times you can go more moderate-lower on your carb intake if you like. In fact, with some cool emerging research in the area of training in a low glycogen state, it may induce some favourable metabolic adaptations. 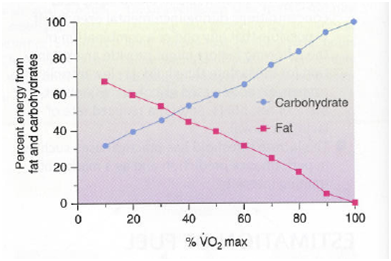 One approach would to be cycle carb levels throughout the week. 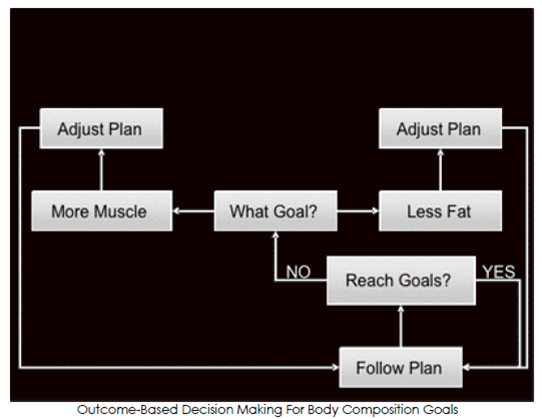 Prioritizing intake based on when your hardest/most important sessions are due to take place. This is a topics for another post though. One of the first things I implemented with Cian was increasing his carbohydrate intake during his training. Cian had been consistently low-carb for a number of months. Staying low-carb would have put him on a road to a disastrous crash. So how many carbs do you “need”? Get protein at 2-2.5 g/kg of BW, fat at about 1 g/kg BW and then the remainder of calories from carbs. If this seems too low, just reduce fat slightly. Assessment can be kept relatively straightforward by simply monitoring weight over a number of weeks. Bear in mind that your weight can fluctuate up and down from day to day and actually from hour to hour. As one-off readings are not definitive, you’re just looking to see that you’re weight is trending downwards as the weeks go by. If you have access to body fat measuring tools, then even better. However, don’t feel you need them. Resist the urge to try have weight drop extremely quickly. Not only will rapid drops in a significant amount of weight likely mean some muscle loss but it will also certainly mean that performance will be in the gutter. Something in the 0.5 kg per week range is a good aim. If you’re relatively lean or compete in one of the loer weight classes then aim for the lower end of that range. Bigger guys can probably lost at the higher end, depending on their start-point. After a couple of weeks, assess progress. If things are going ok then just continue. If you’re not losing fat then make a small tweak to the diet (e.g. slight reduction in calories) and try again for a week or so. Re-assess. Continue this assess/test/re-assess cycle as often as need be. 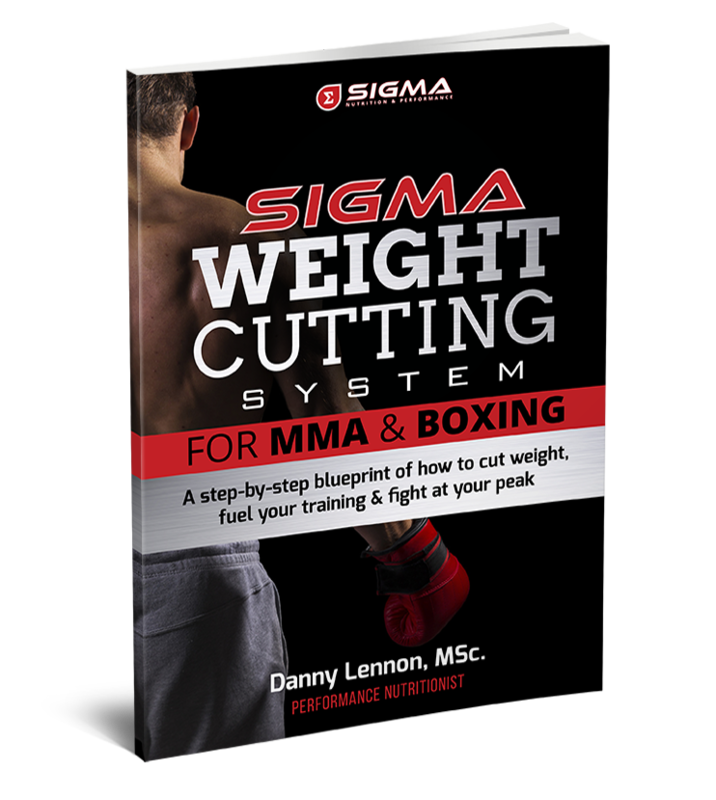 For my most comprehensive and latest recommendations for combat sport nutrition and weight cutting, refer to the Sigma Weight Cutting System for MMA & Boxing (LINK).